Gone are the days when you had to wait for a whole 3 or 4 days to show the natural look of your beard. With the new-age trimmers, it is now possible to style, cut and trim your beard and hair exactly to the level that you want. 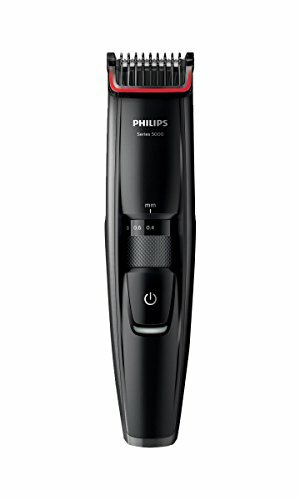 The Philips BT5200/13 Beard and Stubble Trimmer Series 5000 is one of the new-age tools that have been making a revolution in the grooming/trimming world. You can now control the way in which you look, and this gives you great confidence to experiment with your styles often. Read through this beard trimmer review to see what we have to say. Excellent battery life; trimmer can be used for about 55 minutes at a stretch when charged fully for an hour. Can also be plugged in if you want to use it that way too. Has 3 day stubble setting at 4mm, if you want to maintain a rugged stubble look. The blades self-sharpen when they are being used to ensure a great trim. The rounded tips and combs help to make sure your skin is not irritated during the trimming process. Doesn’t work effectively for long and dense beards, as most of the models of beard trimmer which don’t go over 10mm this will be an issue. 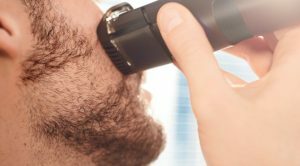 The Philips BT5200/13 Beard and Stubble Trimmer is one of the best models that you can choose for shorter beards and for detailing purposes. However, if you have a long and dense beard, you might have to look for alternate choices in the market. Also, at about £30, this trimmer is correctly priced for what it offers. It currently has 4.3 out of 5 stars with 86% percent being four star or higher. This is one of the highest percentage of 4 star or greater percentages for a beard trimmer out there, and is the #4 selling facial trimmer online.